Valpak of Coastal Carolina also opens up the world wide web with digital advertising services, SEM (search engine marketing) and SEO (search engine optimization) to help your online presence attract the right kind of attention. We’ll set you up with a business profile page on valpak.com and design your business website, if needed. We can also help with your social media management and local business claiming for an improved online presence. Get results you can gauge with Valpak’s powerful suite of tracking tools. We’ll use our call tracking solution to help you find where phone leads originated, when they arrived and how far that interest went. You’ll know how well your message resonated with customers, how often they click and what strategies work best to drive more interest with our performance tracking dashboard. For specific dates and coverage, contact your Valpak of Coastal Carolina representative. 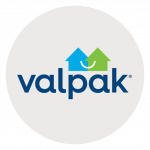 Valpak of Coastal Carolina is an independently owned Valpak franchise.